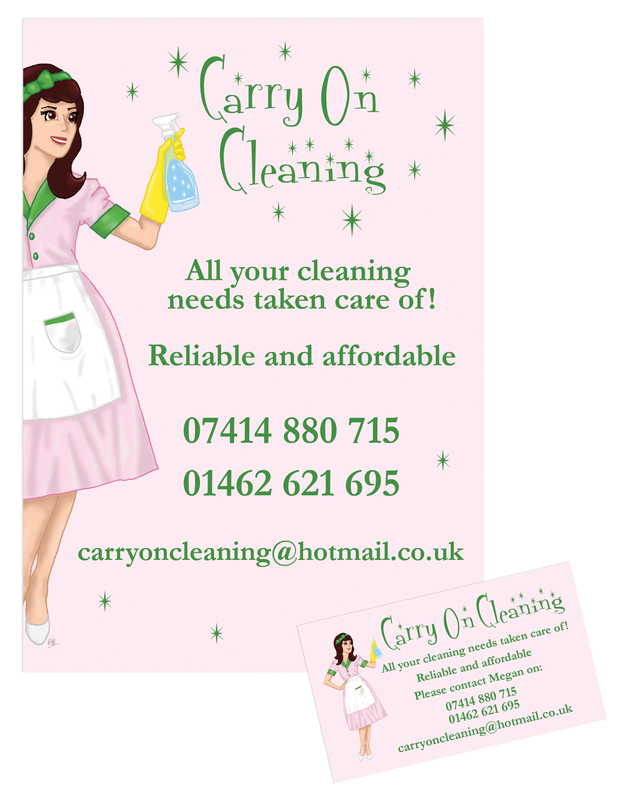 I was asked to design a 1950’s pinup style cleaning lady for a friends new venture. The uniforms were going to be pink and green so she, along with the flyer and card had to reflect this. She was hand drawn and inked on paper then scanned into photoshop and coloured.